I am notorious for losing track of time. Here we are in October and I am still catching up with summer...or was it spring? Losing time is a bad trait to have these days when news and gadgets are rendered obsolete the next day, or even the next minute. But, maybe it would have been a good trait to have 180 years ago when serving a life sentence at Eastern State Penitentiary in Philadelphia. 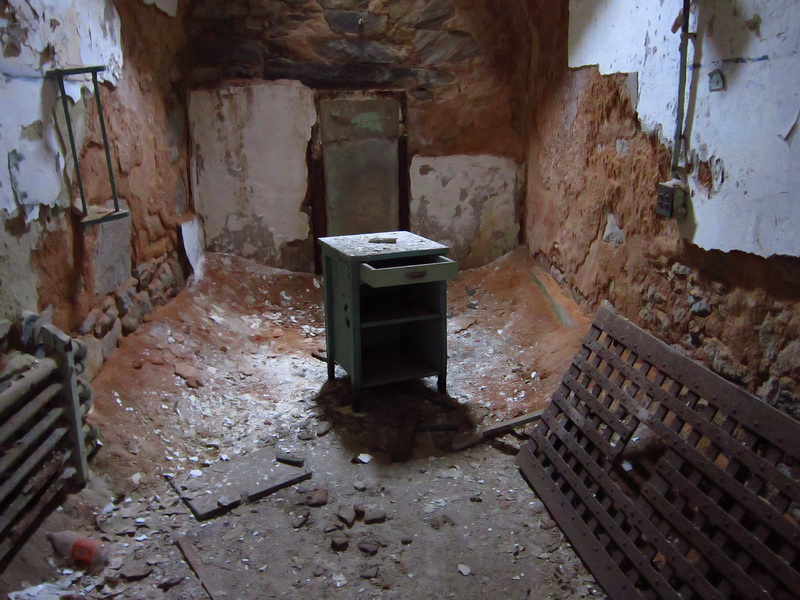 Being a true penitentiary, Eastern State was a place for soul-searching and repentance. 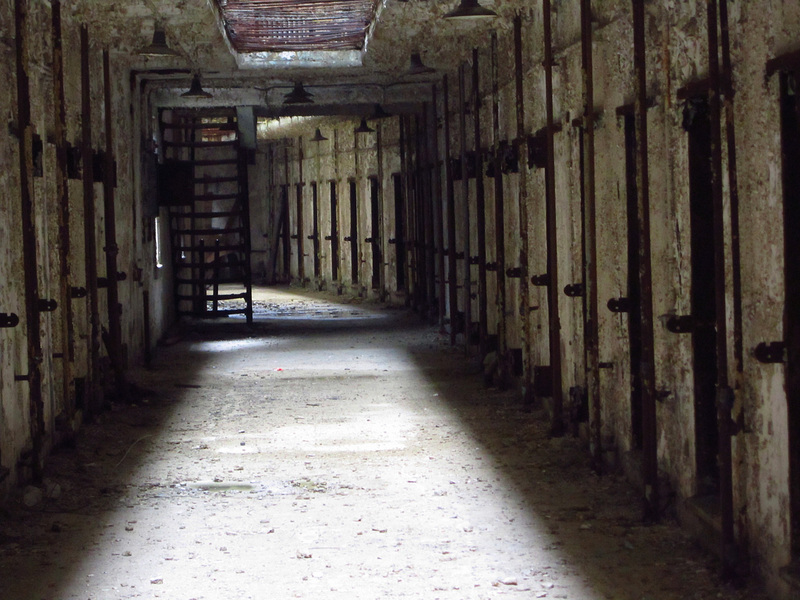 There was no death penalty; punishment was absolute solitude, with 23 hours a day spent alone in a cell and the remaining hour spent alone in an enclosed yard. There were no books except the Bible. With no one to talk to and only one thing to read, I imagine forgetting about time was an asset. 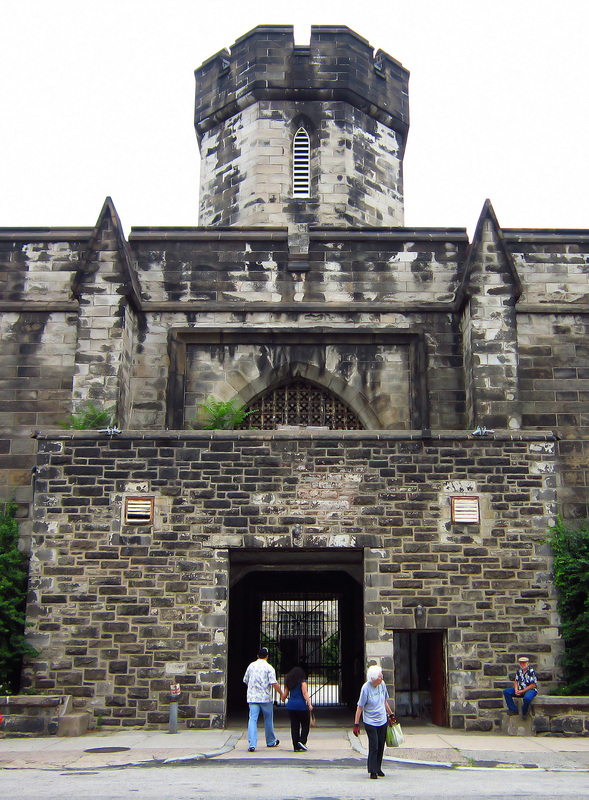 Here is a shot of the front gate, the last prisoners would ever see of the outside world. 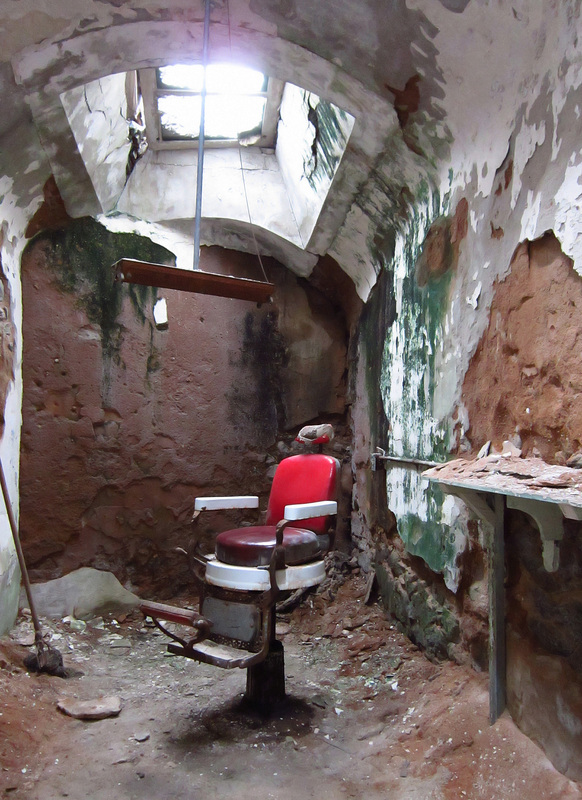 Today, Eastern State is preserved as a ruin and museum. 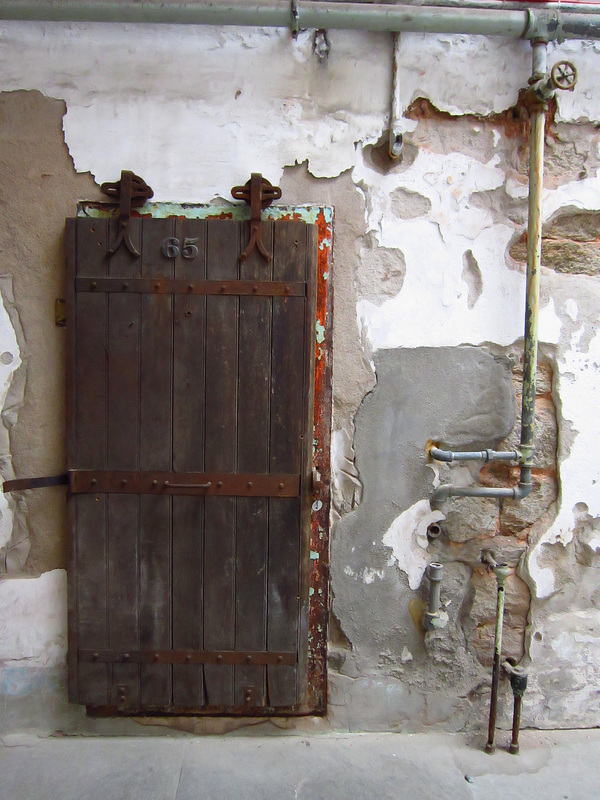 Some parts of it were modernized (if that's the right word) in the early 20th century, but most of the original elements remain, like this cell door. 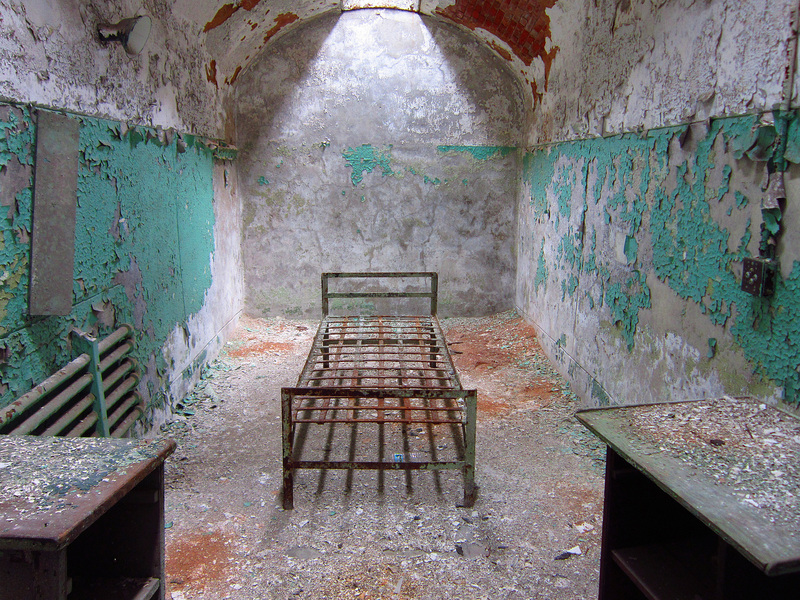 A typical cell...not much room for anything in here. The only light in cells came through a skylight, so imagine how dark it would be in here at night, on cloudy days, and in winter. This photo was taken on a bright summer day. 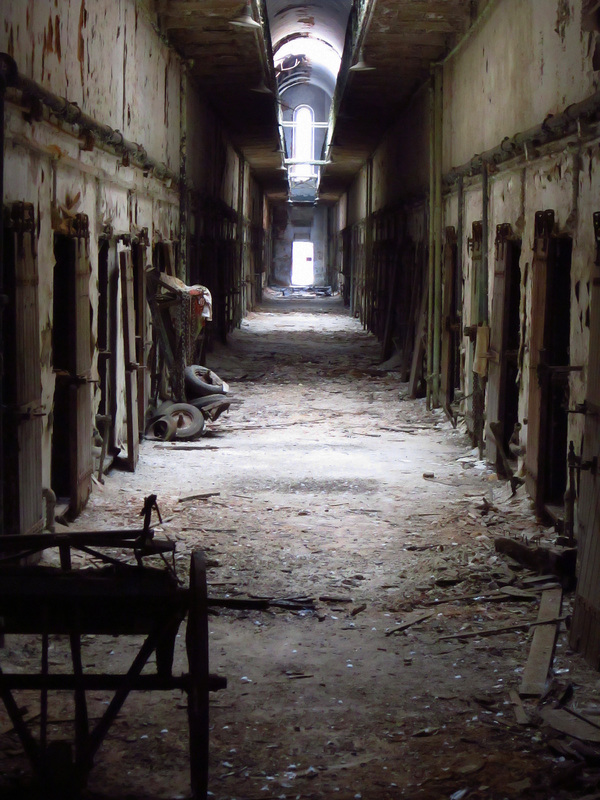 Great photos of a scary place! Goggla, these pics are gorgeous, worthy of an exhibit. More more!